​Women's football in England keeps getting bigger and better. Boots were the latest commercial brand to put their support behind its development this week, adding to recent sponsorship deals with Lucozade and Barclays and continued support from the FA. As of this season, the Women's Super League is the only fully professional top flight league in the whole of Europe, while interest in women's football is set to grow even further this summer when the England team begins their World Cup campaign in France. In recent weeks, clubs have published their financial results for the 2017/18 season. All of the information is available for public viewing, with accounts published and accessible through the Companies House website and the figures reveal plenty about the changing nature of the women's game as more and more money comes in. Liverpool saw both turnover and costs rise in 2017/18 compared to the previous year, with turnover climbing to £939,000. That was noticeably more than the £892,000 revenue recorded for 2016/17. Costs, however, also soared, hitting £1.1m last season. It means that despite higher turnover, the total £144,000 loss sustained was close to triple the £56,000 loss from 12 months earlier. Breaking down turnover, Liverpool's £787,000 commercial revenue was the bulk of their income in 2017/18, and that actually represented an increase on the previous year's £729,000. Part of that can be attributed to a shirt sponsorship deal with Avon announced in April 2017. Sadly, however, matchday revenue fell, dropping to £8,680 from over £11,000 for 2016/17. Whether that waning income is related to Liverpool's lack of continued on-field success after securing WSL titles in both 2013 and 2014 remains to be seen. It is revealed in the accounts that Liverpool only employed 10 full-time people in 2017/18, five players and coaches, and five administrative/commercial staff. 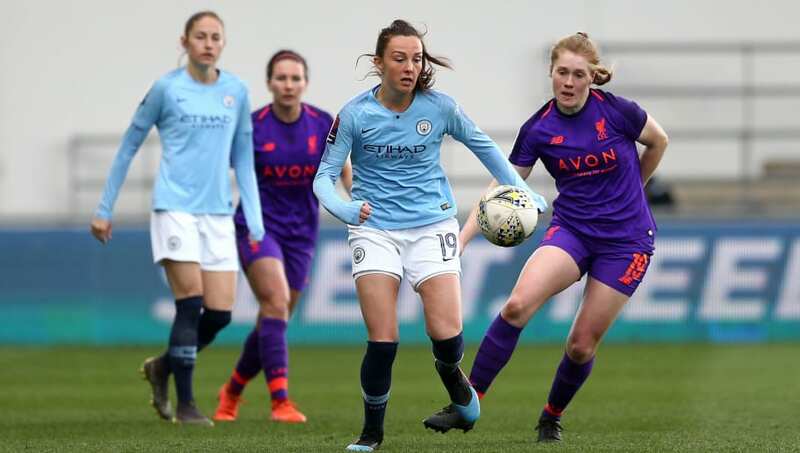 As many as 17 of the playing squad were only semi-professional, something which will be different in the next accounts after the WSL turned fully professional ahead of the ongoing 2018/19 season. Chelsea recorded impressive turnover of £3.5m in 2017/18, a massive increase of £2.1m on the previous year. But that came with increased costs and also a bigger loss. Chelsea lost just shy of £98,000 in the year ending June 2017, with that figure jumping to £745,000 for the 2017/18 season. It is worth noting that, on average, Chelsea employed 54 people each month in 2017/18, far more than the 34 a year earlier. It speaks of the growth of the club. Chelsea were of course monumentally successful on the pitch last season, completing a WSL and FA Cup domestic double, as well as reaching the Champions League semi finals. Having dominated at a national level in the 1990s and 2000s, even becoming European champions in 2007, Arsenal have remained one of the strongest and most prominent women's clubs in England. The 2017/18 season the Gunners significantly increase their revenue to £356,000, up from £270,000 the previous year. Operating costs also rose and the club failed to record a profit, instead making a loss. However, last season's £220,000 loss was smaller than the loss in 2016/17, which had been £265,000. It suggests that the club is heading towards becoming a profitable business, with the increased commercial opportunities set to come into effect next season set to boost that further. Arsenal's increased revenue in 2017/18 came from two main sources. Firstly, the money they collected from competitions grew from £88,000 the year before to £142,000. Secondly, gate receipts effectively doubled from £23,000 in 2016/17 to £45,000 in 2017/18. Crucially, the increased gate receipts were recorded in the first season that women's football in England returned to a more familiar autumn/winter/spring schedule after being a summer sport for many years. There was a risk that attendances could fall as clubs directly compete with men's football, but in Arsenal's case the opposite was true. Manchester City have enjoyed great on-field success since the start of the WSL era in 2012. Prior to the 2017/18 season, they had won the WSL, the FA Cup and three Continental Cups. What is revealed in City's most recent accounts from 2017/18 is that social engagement with women's football content on Facebook alone grew 500%. Financially, however, the bottom line loss of £1.1m for last season dwarfed the £746,000 loss for the previous campaign and it is made clear that the club is still reliant on support from City Football Group, the parent company that owns the club and others around the world. That could be viewed as a financial disaster, but it could also be viewed as a commitment to promote, develop and invest in its women's team and women's football in general. City turnover for 2017/18 was £1.7m, far greater than Arsenal, for example, even if it was down on the £1.8m recorded in 2016/17. Operating expenses were vast at £3.2m, leading to the sizeable loss. Wages and salaries, was a reason for that, growing to £1.7m from £1.5m the year before. While these clubs all made a loss, varying from £144,000 to £1.1m, it is worth nothing that, elsewhere, Everton made a £1,000 profit in 2017/18 after recording a £710,000 turnover. Birmingham, meanwhile, recorded an overall profit of £60,000, a figure that was aided by the selling of players after initially making a small loss on turnover/costs alone.